Jeffrey Mills, Loan Originator, NMLS #208268 Cherry Creek Mortgage is powered by people who earn the trust of clients and partners through expertise and personal attention. From our humble beginnings in early 1987 as a three-person office, our company has grown to more than 800 employees who serve the needs of thousands of borrowers annually. We attribute the success we’ve had to our unique position in the marketplace, our foundation, and our active management style. We’ve built a quarter century of success by partnering with real estate agents, builders, affinity groups, associations, and more. Thanks to our boots-on-the-ground approach to growing our business, you can find 80 Cherry Creek Mortgage offices in 14 states. Having built our business on trusting relationships with real estate professionals, we understand and respect the details and urgency of every transaction. We built our business on solid personal relationships with the best agents in the business and continue to value our network above all else. We’re more concerned with getting borrowers the right loan than any loan. We’ve helped over 217,000 families ﬁnance a home and want to someday help at least 1 out of every 100 home buyers. We have work to do. Our work starts with a culture of support and success - with every employee, partner and consumer. 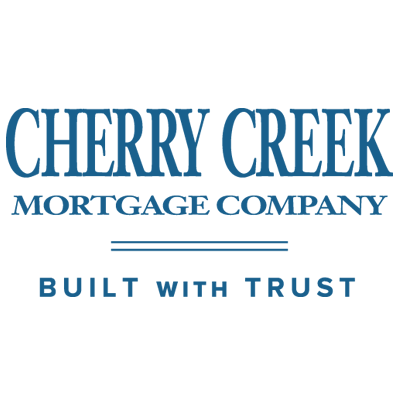 Cherry Creek Mortgage Co., Inc. NMLS #3001. Illinois Residential Mortgage Licensee LMB # 0005759. Equal Housing Lender.